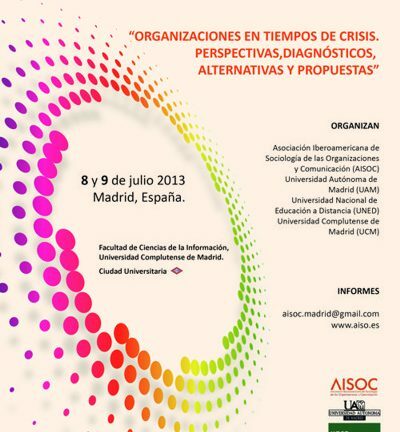 Madrid will host the days 8 and 9 of July to more than 160 professionals and researchers from Latin america in the areas of Sociology and Communication in elXXVI International Seminar AISOC, entitled “Organizations in times of crisis. Perspectives, diagnoses, and alternative proposals”. The event will be held in the New Building of the Faculty of Information Sciences at the Complutense University of Madrid. 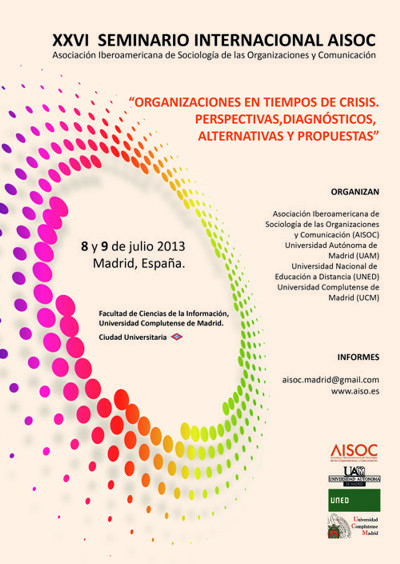 The Seminar is organized by the Latin American Association of Sociology of Organizations and Communication (AISOC), the University Complutense of Madrid (UCM), the Autonomous University of Madrid (UAM) and the National University of Distance Education (UNED). In the first plenary session on “Corporate Social Responsibility in Times of Crisis”, highlights the participation of Alberto Andreu Pinillos, director of Reputation, Brand and CSR at Telefónica, J. J. Almagro, of the Fundación MAPFRE, Spain, Luis Montano, national Autonomous University of Mexico, and as a moderator, Isabel de la Torre, of the Autonomous University of Madrid. Other lines of research of the communications that will be discussed during the activity are: Experiences of participation and communication in Latin america; theoretical and methodological Issues on organizations and entrepreneurship; Communication and participation; Technologies of information and communication technology (ICT): new scenarios; and Crisis Communication and Organizations, Challenges for the future (Papers in English). 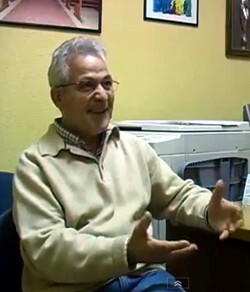 The Seminar features a special session, in charge of editors and publishers of the following journals, Journal International Organization (RIO); Journal of Latin American Self-management and Communal Action; International Labour review and the Social Sciences (Comunitania); Journal of Social Responsibility of the Company; and the Online Magazine Specialized in Law of Communication (Derecom). In the framework of the celebration of the 25 years of AISOC, will be presented the new directive, in addition to various artistic and cultural events throughout these days. This meeting has as a headquarters Madrid, Spain and meet during the two days from 9:30 to l9:00 hours to experts from countries such as the united States, Brazil, Mexico, Portugal, Argentina, Venezuela, Dominican Republic, Uruguay, Colombia, Chile, among others. Previous Article Youkali. Magazine critical of the arts and of thought. No. 13: Do You Right?